WASHINGTON (CNS) — Grace Griffith, a vocalist who has had Parkinson’s disease since 1996, announced in 2003 that she was making her swan song from the stage. But life goes on, however bumpy the ride for the Catholic singer. Since 2003, she has released three other albums, including her latest, “Passing Through.” Now diagnosed with “Parkinson’s Plus” — Parkinson’s disease and dementia — the 58-year-old Griffith would go to a friend’s recording studio on Saturdays to complete the vocal tracks, even if it resulted in only two usable lines for one song during the session. 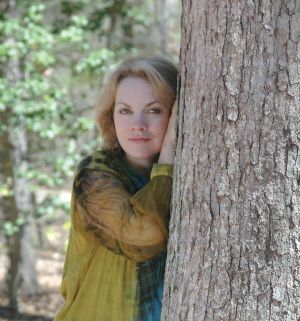 Over her career, Griffith has received multiple Wammies from the Washington Area Music Association for her folk and Celtic music and has performed on the global stage. To help pay for Griffith’s physical, occupational and speech therapy sessions, a benefit concert will take place July 20 in the Washington suburb of Alexandria, Virginia. Combined with a tribute to Griffith and a CD release party, it will feature 20 of the area’s finest musicians, including Tom Paxton. Griffith will sing, but others will step to the microphone and take over when she needs to rest. Contributions to help defray the cost of Griffith’s care also can be made by sending a check made out to Grace Griffith and mailed to her c/o Community Music, P.O. Box 461, Kensington, MD 20895. Marxer said efforts are underway to allow for online giving to help pay Griffith’s bills. The singer has a Facebook page that includes information on the concert. In a 2010 interview with CNS, Griffith described how she admired the way Pope John Paul II dealt with his Parkinson’s. “The first thing I felt was pity and sympathy” and “the second, honestly, was admiration,” she said. “It’s not as easy thing to deal with and I wouldn’t wish it on anyone. Blix Street is a small label with a small artist roster. Griffith “didn’t know that if she sent Eva’s stuff, that her own stuff would sit on the shelf for a few years — but I did,” Marxer said. Marxer said Griffith “had a look of sophistication much like Eva Cassidy” when the two first met some 30 years ago as they were recording background vocals at a late-night recording session.